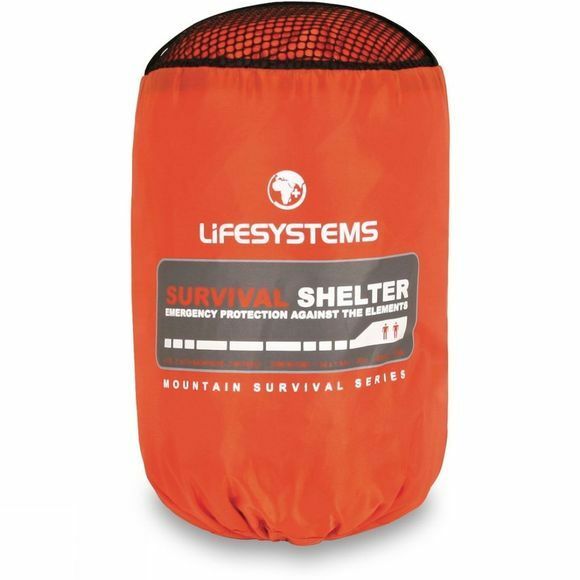 A lightweight survival shelter for up to 3 persons, or 2 people with rucksacks. 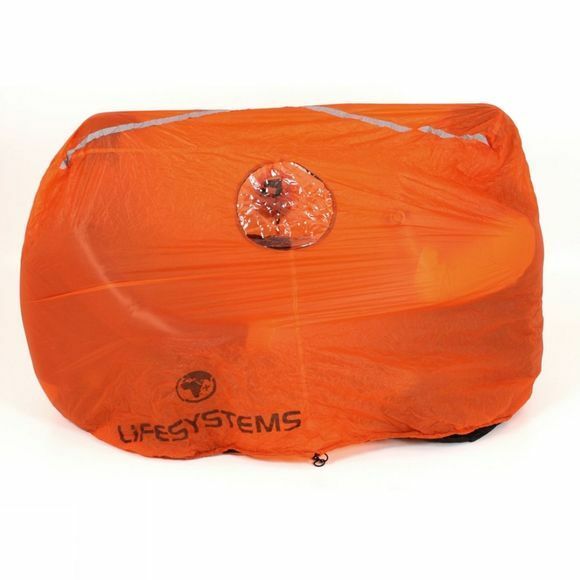 An essential item of safety equipment for any outdoor activity, survival shelters are now increasingly used by mountain rescue teams, outdoor centres, hiking clubs and youth groups. Originally designed as lightweight emergency shelters, they create a surprisingly warm and sheltered internal microclimate. They can also be useful for meal breaks, route planning, map reading or any other situation that requires a warm, sheltered environment.